Researchers from New Jersey Institute of Technology (NJIT) have identified unique anatomical features in a species of blind, walking cavefish in Thailand that enable the fish to walk and climb waterfalls in a manner comparable to tetrapods, or four-footed mammals and amphibians. The discovery of this capability, not seen in any other living fishes, also has implications for understanding how the anatomy that all species need to walk on land evolved after the transition from finned to limbed appendages in the Devonian period, which began some 420 million years ago. 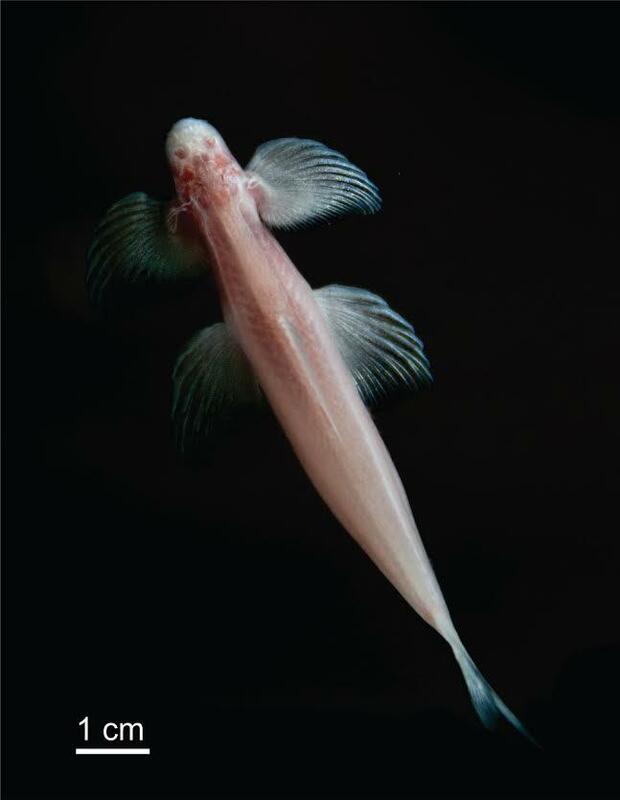 This research is reported in a March 24 Nature Scientific Reports article, "Tetrapod-like pelvic girdle in a walking cavefish," by Brooke E. Flammang, Daphne Soares, Julie Markiewicz and Apinun Suvarnaraksha. Flammang and Soares, assistant professors in the NJIT Department of Biological Sciences, were assisted with the research by Markiewicz, an NJIT post-baccalaureate research volunteer in the Flammang lab at the university. Investigator Suvarnaraksha is a member of the Faculty of Fisheries Technology and Aquatic Resources of Maejo University in Thailand. The full text of their article is available at http://www.nature.com/articles/srep23711.